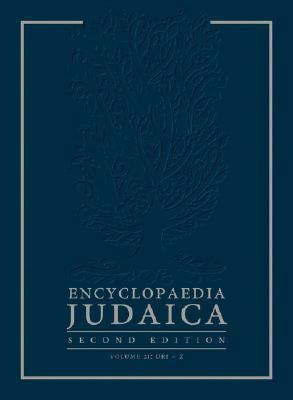 Providing an exhaustive and organized overview of Jewish life and knowledge from the Second Temple period to the contemporary State of Israel, from Rabbinic to modern Yiddish literature, from Kabbalah to "Americana" and from Zionism to the contribution of Jews to world cultures, Encyclopaedia Judaica, Second Edition is important to scholars, general readers and students. With more than 22,000 signed entries on Jewish life, culture, history and religion, this second edition incorporates more than three decades of changes and the latest scholarship-such as new archaeological sites, theories and analytical methodologies. Featuring original work by top scholars representing all major universities and centres of research in Jewish studies, this invaluable set expands the scope and relevance of the original with some 2,200 brand-new entries.Skolnik, Fred is the author of 'Encyclopedia Judaica ', published 2006 under ISBN 9780028659282 and ISBN 0028659287. Loading marketplace prices 1 copies from $2671.45 How does the rental process work?